I was foam rolling and stretching while my mother and brother were watching Suits recently. As my analytical mind is always trying to capture lessons that I can use in my life to make myself more effective in serving others, I can not just simply watch a TV show passively. Why is it that Harvey Specter seems so cool and calm under pressure? Is it just genetic? Partly, but you can TRAIN yourself to be like this. It seemed to me that the show kept juxtaposing Harvey’s “alpha male” characteristics with the more frantic and reckless persona of Mike Ross. The first question that came to mind was: are people like Harvey just genetically hardwired to be calm and cool under pressure unlike mere mortals who seem to crumble under the pressure? Absolutely NOT! Even though Harvey is calm and collected the vast majority of time, there are instances in which he loses control. Why is that? We all have a threshold of stress and ambiguity we can tolerate. Once our threshold is exceeded, we experiences negative emotions such as anxiety, anger, and depression. What separates the championship performers from the rest is that they have a greater threshold for dealing with stress and ambiguity. Meditation – I found that the meditation techniques that are best for beginners and allows them to sustain practice are binaural beats technology (ex. Om harmonics or Holosync), headspace (or other meditation apps), or Transcendental Meditation (however this is a very pricey option unless a student). Heart Math – This is a fairly recent innovative and cost-effective bio-feedback tool that dramatically increases performance. As there are more neurons that send information from your heart to your brain than the other way around, focusing on increasing your heart rate variability drastically improves your brain functioning. However, having feedback drastically improves the learning curve. Relaxation – Progressive relaxation techniques are one of the most means of inducing a deep state of relaxation. Conscious breathing works great as well: focus on a deep diaphragmatic inhale and a very slow exhale (take ~ 10 seconds to let the air out slowly). Inducing a deep relaxation response teaches your nervous system to be relaxed. The more you can relax during the day, the more likely you will be able to bring it up during intense moments of stress. So if you want to remain calm and collected under intense moments of stress, use these modalities to increase your stress threshold. You may ask why? When I check my text messages while studying it only takes 5-10 seconds to check my messages. That 5-10 second distraction is NOT what is so insidious about the multifarious distraction available to one during this modern age. What is so mentally draining and disastrous is the disruption of your concentration, and a possible flow state. Multi-tasking is a MYTH. You brain can NOT do two things that require rapt attention (yes you can chew gum and walk) at the same time. What it is doing is constantly jumping back and forth between the two tasks. Which is very draining on your limited mental resources and tends to cause increased the time to complete a task and the error rate. The reason tasks so much longer than they would if you were NOT multi-tasking is that every time you switch between activities your brain has a ramp-up time to regain its prior concentration for the task at hand. Lets look at a hypothetical example to clearly demonstrate how insidious these “minor” distraction can be. Lets say you began studying and you were studying for about 10 minutes but then you got a new text message. All of sudden the ringing/vibrating of your phone completely disrupts your concentration (or even the phone screen turning on if you had it on silent). You then check your message and quickly respond and in five to ten seconds you are back to your work. You may think no biggie. But you then realize that 10 minutes has passed and you have done NO work because you are trying to re-orient yourself. You may attribute this to various sources but the reason is because your brain needs to ramp up its activity to get you back into the flow state of intense concentration you were previously in. This is all great and all but how can you structure your studying to maximize your learning and efficiency? Firstly you need to realize that your brain has a limited capacity to focus, and therefore the longer your study session drag, the more and more likely to seek out that distraction via Facebook, Twitter, email etc and receive that nice little dopamine hit. To counteract this you need to take frequent breaks, but it must be done so in a structured way. What I prefer and has been well substantiated by plenty of other high achievers at elite US colleges (also described in this amazing book by Cal Newport) is 50-55 minutes of studying followed by a 5-10 min break. Another method that some of my peers find helpful is the Pomodoro Technique, which in it essence is just 25 minutes of studying followed by only a 5 minute break so you do NOT get break momentum and have your break drag out. I prefer 50 minutes on/5-10 minutes off, but choose whatever works best for. Lastly, it is key that during these breaks you make some effort to move around as activity is key to keep your brain sharp and focused. However, it is great and all to have a structured plan to attack your studying, but how do you prevent the aforementioned insidious distraction from wreaking havoc on your studying. The key is to increasing the activation energy to pursue these distraction. You may be thinking what the hell? You may have thought that you left activation energy in your General Chemistry class, but it is an important concept that can apply to all aspects of your life. 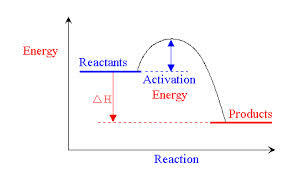 As can be seen in the diagram below it is the energy needed to get the reaction started. You can think of any task in your life of having an associated activation energy you need to input before you can begin the task. The problem with the slew of distractions we are bombarded with today is that the activation energy is so high. How can you combat and control the flow of the constant barrage of information and stimulus society throws at you? You need to increase the activation energy in pursuing these distractions. How can you do so? Below are some suggestions that have helped me immeasurably while studying. 1. Turn your phone on Airplane Mode while studying so you can’t get any incoming messages and if you fall into temptation, usually the 5-10 sec wait for my phone searching for service is all I need to turn Airplane Mode back on and not look at my text messages/Facebook/twitter etc. 2. Turn Wifi off on my Computer – If I am not using the internet for my studying I turn my wifi off. The extra 5-10 seconds it would take me to find and connect to the appropriate network helps prevent me from surfing the web. 3. Keep phone in a different room – This is one of the most helpful tips I have found for myself. If my phone is in a different room or different location then I am studying I am absolutely NOT going to get up just to check my text messages. These are just a few suggestions, but be Creative! You do NOT need an overly elaborate or complicated scheme. The beauty of this is that you usually need to only increase the activation energy by 5-10 seconds to completely curtail the bad behavior. If you happen to have any specific strategies to increase the activation energy that you use that you may think will help other readers please comment below! Also as usual please feel free to ask me any questions you may have by making a comment below. 1. TM allows one to achieve Total Brain Coherence – You may be thinking that total brain coherence is some voodoo term. It is not. It is refers to how in sync the faint electrical impulses (which can be measured by EEG) emitted by your brain are. I will not delve into more detail into this fascinating topic but check out this link if you are interested in learning more. Why should you care if your brain wave coherence has increased? Increased brain coherence means that you are able to use more of your brain’s untapped potential. 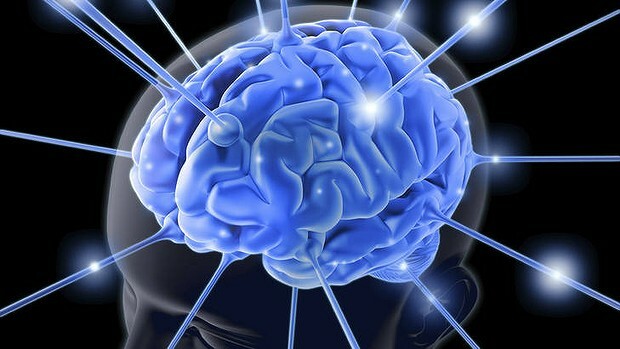 In addition, it allows one to deepen their understanding of currently learned material and improve the speed at which one learns new material because they are able to more quickly ascertain and identify connections between new material and things they already know (what learning is in a nutshell). 2. TM allows one to enter into a deep state of rest – For all the athletes this may be the most important aspect of TM for you initially. I do not want to delve into the intricate and riveting science about how the body enters into this deep state of rest in this post (check out tm.org if you do) so I do not get bogged down in details. But TM enables one to enter into a deep state of rest that is MORE restorative than sleep. This will give you that extra needed energy boost to accomplish and chase after those dreams you never thought would be possible. In this video below Jerry Seinfeld discusses why he loves TM, because it gives him energy! It does so by enabling him to enter a deep state of rest. 3. TM increases on threshold for a stress response – This aspect of TM has been the one that has best help support me in becoming the best that I can be. For a typical person when they enter any sort of stressful response, instantly adrenaline goes shooting through their bloodstream, and their heart begins to beat extremely fast. As a result of this sympathetic stress response your higher cognitive centers shut down and your brain enters a fight or flight mode. This was evolutionary advantageous if you saw a saber-tooth tiger out of the corner of your eye and you needed to flee for safety. However, in today’s modern age this easily trigged stress response is extremely maladaptive as “dangers” we face in today’s modern society aren’t nearly as pressing or fatal as those our ancestors faced. If you want to be calm under pressure and play at your best in the biggest moment you need to learn how to increase the threshold for which a stress response occurs. If you are unable to do so, your flight of fight response kicks in and your whole body tenses up and can’t perform your best. That is where the term “choke” comes from. However, when a lot of athletes do not perform well in a big game they decide that the problem has to be physical. That is absolutely wrong if they can make the shot, serve, or pass in practice but not in a game then the problem is clearly a mental one. They can physically complete the task but not under pressure, because their threshold for a stress response is to low. Practicing TM will allow one to decrease their threshold for a stress response allowing one to remain calm and relaxed in even the most stressful of situations. So you may say that is all good and all, but what can you do now to take a step forward and learn how to use TM? Remember common knowledge is NOT common action. Therefore it is NOT good enough to intellectually understand how TM can help you. You NEED to take action. Go to http://www.tm.org and click find a TM teacher. It will be the best investment you will ever make in your life. For me personally it has absolutely changed my life for the better and I hope you experience the same thing. If you have had a similar experience I would love to hear from you. So please make a comment below sharing your experience with TM. As always if you have any questions or would like to me to discuss a future topic please comment below or message me on Facebook (Pavan Mehat) or LinkedIn. Note all posts that are part of the Neuroscience of Achievement series will be short and sweet. I want to give you actionable items. I will do future blog posts to elaborate on the nuances of everything I present as part of this series and I will discuss and share some of the science underlying these recommendations. Positive Psychology is a new and upcoming field, which instead of focusing on how human psychology goes wrong and how to bring people back to the average. It aims to understands what underlies exception performance and happiness in life to inform how everyone can be exceptionally happy and accomplished. I have written a blog post alluding to the exercises I recommend below however I wanted to give them its own blog post because it is that important. The quickest way to improve our performance is to change how we view our world and what we actively seek out. There was a recent research study done at Harvard in which participants were asked to come in and play Tetris for 3-4 hours for a days for a few days in a row. Then they were asked to come back in a week. They all reported starting to view how they see the world in relation to the darn Tetris game they had been playing. The same is true of the polarity of our mental outlook (positive or negative). The old adage that the world is your mirror is a scientific fact because your mind seeks out what you program it to. Therefore, it is vital to ensure that we are programming our mind to be happy and loving and to seek out the everyday miracles. How would you do this? You may think that it would be extremely difficult. However, it is NOT. Geek Alert: These exercises help to transiently increase you dopamine and serotonin levels which are you cognitive horsepower, and if you complete these exercises consistently they will increase your baseline dopamine and serotonin levels, which will therefore improve your cognition. If you are extremely interested in learning about this amazing new field check out these Youtube videos of a talk given by Shawn Achor (A Harvard Psychology Professor). In addition, I will be doing a book review about his book The Happiness Advantage very soon. However, do NOT delve into this fascinating material without ritualizing these two simple tasks FIRST. You may be thinking why the HELL am I writing about neuroscience on a blog about athletics? As I mentioned in a previous post everything is interdependent. The are always cliche’s thrown around about how important the mental aspect is to peak athletic performance. In this segment I will give you the tools to excel both in competition and in life. This page has been motivated by my inability to perform at my best when I needed to during my athletic career because of self defeating beliefs and the lessons I learned during college and while studying for my MCAT that allowed me to graduate in the top 5% of my class at Boston University and scoring in the 96th percentile on the MCAT while never pulling an all-nighter and simultaneously competing for Boston University’s Division 1 Track and Field Team. I am not listing my academic accomplishments to boast or to make myself seem accomplished. I am listing them because if a dope like myself can accomplish things I never thought possible then you most definitely can! I was considered an average student coming out of high school, and coaches told me I was just not a division one athlete. However, I was relentless, and prioritized working efficiently over just hard which enabled me to achieve things beyond my wildest dreams. I also, am currently an MCAT instructor for Kaplan and wanted to distill and bring together all my thoughts about how to maximize one’s academic potential in one place so that I can best support my students. This can help anybody who wants to increase their cognitive power, resiliency, and ability to deal with pressure. In other words anyone! How to best use this information? It is very easy (I have a very bad habit of doing this) to absorb a lot of information and do more and more research to understand the nuances of a particular topic. However it is NOT what you know but HOW you act upon your knowledge. Therefore feel free to read all of the parts at once, but please spend 3-4 weeks of concentrated effort focused on instituting ONE of the changes I detail below and make it a habit before moving on. This is vital to ensure that these changes are life long habits that will allow you to become the best version of yourself. I currently use everything detailed below on this page, and they help support me in becoming the best person I can be.